AS IT STANDS: What's That Buzzing Sound In Rio? A buzzing sound that may spell disaster for the Rio Olympics? Monday: A jaguar used in an Olympic torch relay ceremony was shot to death after it escaped its leash and tried to attack a soldier. What was the Olympic organizing committee thinking have a wild animal in chains alongside the Olympic Torch, a symbol of peace and union among peoples? 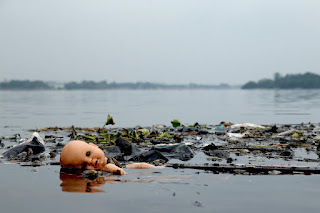 Building projects and Rio's waterways pose risks for competitors and spectators. An Associated Press investigation in 2015 found swimming and boating venues contaminated with human feces and other pollutants. Studies recently seen by Reuters also found drug-resistant "super bacteria" at five of "Rio's showcase beaches, including the ocean-front Copacabana, where open-water and triathlon swimming will take place." Scientists have also warned that the influx of tourists and other visitors could accelerate the spread of the Zika virus around the world.